A site to empower youth voice. Youth MOVE Maine is a statewide youth-focused non-profit that provides programming for youth across Maine. 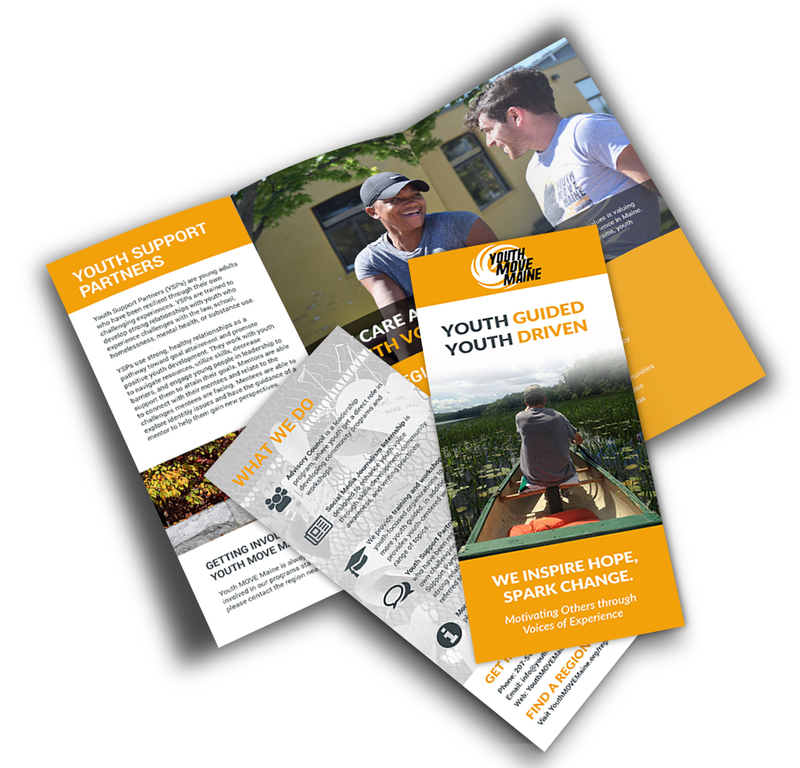 Youth MOVE Maine’s website is not just a tool for the community, but for youth who are participating in programming, donors and grant givers, and referral sources to the program. The multifaceted need for the website presented a challenge on how to target the website. The many populations who were going to use the site may not engage with the site in the same way. That is why the site had so many built in tools – a youth blog, news and events blog, sub-websites for each regional office (including own blog and events posts), custom user roles and content approval workflow, and a regional office locator tool. The objective of the site was to ensure features were youth friendly and engaging, as well as friendly to potential community partners, donors, funders, and interested parties. Youth MOVE Maine engages with many community partners throughout the day. 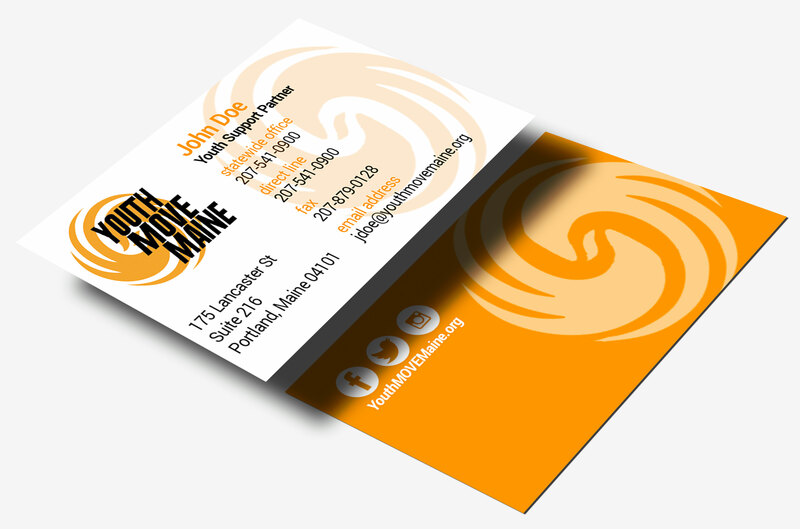 All staff persons were finding the need to carry business cards, and the organization needed an updated brochure. Using branding principles, YMM’s visual brand was attached to a statewide brochure and rack card, as well as business cards for all of the staff members.